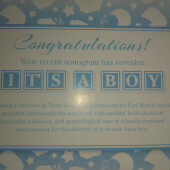 Help us welcome our beautiful baby boy into this world. We are very excited to get to meet him. And hope all of y'all are just as excited.